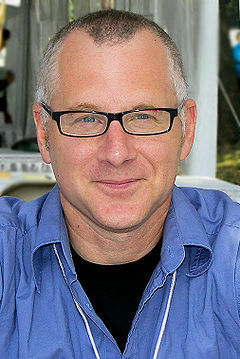 With clearly great titles in his cannon (Election, The Abstinence Teacher, and Little Children), I had been meaning to read some of Harvard creative-writing professor Tom Perrotta's fiction for a while. 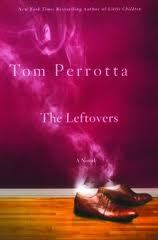 And with the apocalyptic subject matter of his new book, The Leftovers, the time was finally right. The story centers on various groups of loosely intertwined people in the nowhere town of Mapleton, which serves as a setting and microcosm of a world that has suddenly lost about half of its inhabitants. They all disappeared at the same moment in time - October 14 - and the book's title refers to the people who remain. Nearly all the characters have been devastatingly crushed and bewildered by the loss of loved ones. Kevin Garvey is the town's mayor and his wife remains, but she has left him to join the Guilty Remnant, a secretive and creepy, all-white-wearing cult. His daughter remains but has become wayward and hangs around with a best friend who has a complicated relationship with Kevin. Meanwhile, Kevin has a new girlfriend whose entire family disappeared moments after an argument at the dinning-room table and his son has dropped out of college to follow a questionable guru named Holy Wayne around the country. As weird as it sounds, the book is much, much less about science fiction or fantasy than it is about love, loss, family connections and lack thereof, and it is really a psychological study masked as a page-turner. Pretty phenomenal and impressive.